Singapore, a small Southeast Asian country with limited resources, transformed itself from a trading post to a successful, cosmopolitan nation with one of the most impressive growth rates in the world. Less well known, however, has been its role in regional and global trade negotiations. This book is a collection of sixteen essays written by a group of diplomats, policy-makers, and professors who became involved in international economic affairs, notably in GATT/WTO, regional and bilateral free trade negotiations. Here, they reveal their thoughts about the world economy and trading system, reflect on their experiences, and explain how they promoted national interests while advancing the global trade agenda. This book will appeal not only to professional diplomats, but to anyone interested in how international economic diplomacy works and Singapore's role and perspective as an open trading nation.Contents:Singapore's Economic Diplomacy: An Introduction (B Desker et al. )Essays and Reflections on Multilateralism:The WTO Institutional Reforms: Issues and Prospects (C M See)Informal Caucuses Within the WTO: Singapore in the “Invisibles Group” (B Desker)Anti-Dumping Negotiations in the Uruguay Round: Reflections of a Singapore Negotiator (M Liang)Intellectual Property Rights in the Uruguay Round (S Tiwari)A New Approach to Trade Negotiations? (V G Menon)Domestic Regulations in Services: A Chairman's Perspective (P Govindasamy)Future Trends in Intellectual Property and Impact on Trade and Development (G Yu)My Experiences with the WTO Dispute Settlement System (T Koh)The WTO Ministerial Conference in Singapore (K Kesavapany)Essays and Reflections on Free Trade Agreements: An Intuitive Guide to the Services Chapter of the United States-Singapore Free Trade Agreement (Y K Ong)Some Lessons from Past FTA Disputes (C L Lim)ASEAN's Journey Towards Free Trade (D S S Chin)The Road to Free Trade Agreements (B K Ng & N O Minn)Multilateral or Regional — WTO “and/or” FTAs? An Academic's View of the Trenches (M Ewing-Chow)The China–Singapore Free Trade Agreement (B K Ng)The Japan–Singapore Free Trade Agreement (K K Pang)Readership: Statesmen, policy makers, professional diplomats, scholars and anyone who may be interested in international trade negotiations. Economic Integration and Development : Has Regionalism Delivered for Developing Countries? Kreinin, Mordechai Elihau Plummer, Michael G.
Shiraishi, Takashi ; Okamoto, Jiro? ASEAN has a goal to create an economic community by 2015. To achieve the goal, connectivity among the member states needs to be given due importance. In 2010, ASEAN adopted the Master Plan on ASEAN Connectivity (MPAC), which looked at physical, institutional and people-to-people connectivity. It pinned down fifteen priority projects which can potentially transform the ASEAN region, providing the conditions for a single market and production base. But MPAC is an expensive initiative, and funding remains a major challenge. The private sector needs to be actively involved as a number of infrastructure projects identified in the MPAC are lacking substantial investment. The ten countries in the ASEAN region account for approximately 5% of world gross domestic product and 8% of world population and represent the most diverse group of nations in terms of the level of prosperity, political system, culture, language, and history. 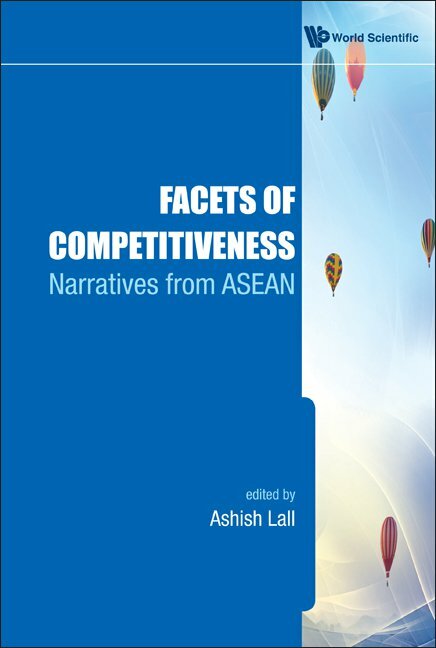 This diversity in ASEAN not only helps us understand the notion of national competitiveness, but also provides important policy lessons for both developed and developing countries.This book — a collection of essays — provides insights on competitiveness challenges and policies. It provides an excellent overview of competitiveness for a group of countries at various stages of development. Written in a simple and accessible manner, this book will be of interest to students, researchers, business executives and government officials.Contents:In Search of Competitiveness Policies (A Lall)The National Competitiveness Council of the Philippines: The Human Resource Development Focus of a Public-Private Partnership (F M Macaranas)Thailand: Automotive and Auto Parts Industry (N Wongtada & T Kanitpong)Challenges of Cluster Development in Thailand (A Vongpichet)Reengineering Policies: A Singapore Case (B S Neo & S Chung)Cambodia 1998–2008: An Episode of Rapid Growth (S Guimbert)Batam, Bintan & Karimum Special Economic Zone: Attracting Foreign Investment (K K Ng)Malaysia at the Crossroads Towards Vision 2020 (M Y Cheng)Whither Vietnam's Transition? (S Q Yu)Bigger Hurdles: Brunei, Laos & Myanmar (R Joshi)ASEAN's Merdeka Moment: A New Approach to Integration (J W Schwarz)Readership: Students and academics interested in ASEAN; policy makers and general public. ch. 1. In search of competitiveness policies / Ashish Lall -- ch. 2. The National Competitiveness Council of the Philippines : The human resource development focus of a public-private partnership / Federico M. Macaranas -- ch. 3. Thailand : Automotive and auto parts industry / Nittaya Wongtada and Tatchawan Kanitpong -- ch. 4. Challenges of cluster development in Thailand / Anuwan Vongpichet -- ch. 5. Challenges of cluster development in Thailand / Anuwan Vongpichet -- ch. 5. Reengineering policies : A Singapore case / Neo Boon Siong and Susan Chung -- ch. 6. Cambodia 1998-2008 : An episode of rapid growth / Stephane Guimbert -- ch. 7. Batam, Bintan & Karimun special economic zone : Attracting foreign investment / Ng Kwan Kee -- ch. 8. Malaysia at the crossroads towards vision 2020 / Cheng Ming Yu -- ch. 9. Whither Vietnam's transition? / Stevenson Q. Yu -- ch. 10. Bigger hurdles : Brunei, Laos & Myanmar / Radhika Joshi -- ch. 11. ASEAN's 'merdeka' moment : A new approach to integration / Jeremiah William Schwarz. The ten countries in the ASEAN region account for approximately 5% of world gross domestic product and 8% of world population and represent the most diverse group of nations in terms of the level of prosperity, political system, culture, language, and history. This diversity in ASEAN not only helps us understand the notion of national competitiveness, but also provides important policy lessons for both developed and developing countries. This book - a collection of essays - provides insights on competitiveness challenges and policies. It provides an excellent overview of competitiveness for a group of countries at various stages of development. Written in a simple and accessible manner, this book will be of interest to students, researchers, business executives and government officials. This book explores the importance of strategy and how to make it work in an environment characterised by constant change. With a specific focus on the Asia Pacific region, anticipated to become the epicentre of global economic activity, it offers insights into the optimisation of economic potential and social cohesion enabled by leaders, which is crucial to the global economy and living standards. It highlights sound foresight, strategic thinking and innovation as the critical underpinnings of successful business and provides a comprehensive guide to combining practice and theory to ensure successful strategies, from formulation to execution. The book also builds on the concepts of change, the purpose of business, foresight, strategic thinking, strategic planning and innovation to present a holistic view of how these essential elements can be integrated in practice. Combined with a special contribution by Chaly Mah, the CEO of Deloitte Asia Pacific, the book carefully balances professional and academic insights to optimally benefit its readers and will be of interest to industry practitioners, researchers and students alike. 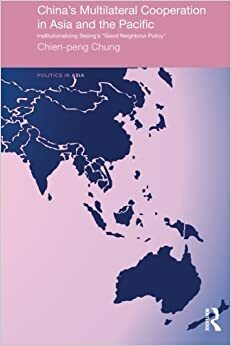 This book examines the relationship between globalisation and regionalism through a detailed analysis of the ASEAN Free Trade Area (AFTA) project. It analyses how the interaction between globalisation and domestic politics shaped the evolution of AFTA over the past 10 years, arguing that although AFTA was triggered primarily by the pressures of globalisation, it was a tussle between the imperatives of growth and domestic distribution that shaped the way economic cooperation unfolded and the forms it took. In recent years, Asia`s economic and strategic environment has been transformed in a fundamental sense. The emerging `Asian Economic Community`—encompassing ASEAN, China, Japan, India and South Korea—is being widely viewed as the centre of gravity of the global economy. Because of its strategic position, India is destined to play a significant role in shaping the emerging profile of Asia. Against this background, this volume explores Asia`s dramatic re-emergence on the global scene as well as India`s role in ensuring peace, security, stability and development in the continent. In recent years, India has redefined its position within Asia and has emerged as a significant player. The contributors offer new perspectives on Asia concerning the nature of its politics and governance, the reasons for its insecurity, the need for greater regional cooperation, and its intrinsic strengths and weaknesses. They implicitly or explicitly share the view that the `twenty-first century belongs to Asia`. Jones, Erik Plummer, Michael G.
Regional economic integration has become a key force in international commercial policy in the 2000s. Europe has traditionally embraced regionalism; the United States became actively involved in preferential trading arrangements only in the 1980s. While Asia has been late in accepting formal regional economic integration accords, all Asian countries are now in the process of creating various free-trade areas and other forms of economic integration programs, and some are already in place. This volume analyzes the regionalism trend from an Asian perspective. It considers the lessons from, and the economic implications of, various economic integration programs in the OECD (mostly the EU but also NAFTA), as well as the proposals for closer economic integration in the region itself. Chapters deal with both real and financial integration issues.Contents:Introduction (M G Plummer & E Jones)East Asian Economic Regionalism: Progress and Challenges (M Kawai)Sequencing Regional Integration in Asia (R Pomfret)ASEAN+3: Is an Economic Community in Their Future? (J Angresano)Stock Market Performance in ASEAN: Is Institutional Integration Warranted? (R W Click & M G Plummer)The Institution of a Single Currency Area: Lessons for Asia from the European Monetary Union (S Rossi)Deep Integration and Its Impacts on Non-Members: EU Enlargement and East Asia (H Lee & D van der Mensbrugghe)Small Change: A Critical Examination of the Economic Relationship Between South Asia and the European Union (J W Moses and Maggi Brigham)The Effects of North-South Regional Trade Policies: A Comparison of Mediterranean Countries with ASEAN (N P?ridy)Reconciling the Tensions Between Regional Integration and Cohesion (M Farrell)Lessons for Asia? Legitimacy and Quasi-Democratic Mechanisms in European and American Market Integration (C Parsons & J D Richardson).Readership: Academics, policymakers, professionals and students interested in applied international economics and Asian economic integration. Japan and ASEAN always in Tandem : Towards a more advantageous Einwin Relationship through my " Three Arrows"
The Singapore Lecture Series was inaugurated in 1980 by the Institute of Southeast Asian Studies with a founding endowment from the Monetary Authority of Singapore (MAS), and augmented by a generous donation in 1983 from Exxon Mobil Asia Pacific. This book looks at the emergence of China as a major importer and consumer of energy as well as examines contemporary issues within the Chinese oil industry. As China benefits from globalization, what is the impact on China's relations with countries in its neighbouring region when it seeks more oil importation from overseas sources? China's industrial growth in the Pan Pearl River Delta Region is outstripping its oil supply and China is turning to the ASEAN countries connected to its Pearl River tributaries to form a Pan region that acts both as a conduit for oil supply from other sources as well as the supply source itself.Geopolitics in the region represents one of the main obstacles standing in China's way for a regional agreement on maritime resources. Would the pressure on China for more energy translate into tension and conflicts? How will Japan view or compete with China's initiatives in ASEAN given that Japan is still the region's largest investor.After China's landmark energy crisis in 2004, how will China be able to strike a balance between economic growth and energy consumption? With the growing importance of post-industrial debate and environmentalism, what are the implications of post-industrialism for China? For future energy use, how will China utilize the options of alternative energy, energy conservation and reinvigoration of old energy resources to meet its future oil needs?Contents:IntroductionThe Emergence of the Chinese Oil Industry in Northeast Asia — Transition from Japan (1978 Daqing Crude Trade) to Russian Oil Relations (Sino–Russian Oil Communiqu?s 2002/3)The Emergence of the Chinese Oil Industry in Southeast Asia: China–ASEAN Sub-Regionalism — Pan Pearl River Delta (PPRD) Regionalism and Cooperation in OilThe Emergence of the Chinese Oil Industry and Potential Flashpoints?Seeking Energy Security: Cooperation and Competition between China, Japan, and IndiaYear 2004: China's Landmark Energy CrisisThe New Energy Superpower's Internal Debates: Development or Environmentalism?Conclusion — Alternative Energy Trends, Conservation, and Renewing Old Resources?Readership: Think tanks/research institutes, universities, public libraries, commercial organizations interested in energy, NGOs and lobby groups. This book explores the power of greater openness, accountability, and transparency in digital information and government data for the nations of Southeast Asia. The author demonstrates that, although the term “open data” seems to be self-explanatory, it involves an evolving ecosystem of complex domains. Through empirical case studies, this book explains how governments in the ASEAN may harvest the benefits of open data to maximize their productivity, efficiency and innovation. The book also investigates how increasing digital divides in the population, boundaries to civil society, and shortfalls in civil and political rights threaten to arrest open data in early development, which may hamper post-2015 development agendas in the region. With robust open data policies and clear roadmaps, member states of the ASEAN can harvest the promising opportunities of open data in their particular developmental, institutional and legal settings. Governments, policy makers, entrepreneurs and academics will gain a clearer understanding of the factors that enable open data from this timely research. The very latest theories and research on the development of entrepreneurship are to be found in this book. It explores the factors affecting the performance of small and family businesses and entrepreneurs’ innovativeness, amongst other themes. Selected papers update readers on the entrepreneurship environment and reveal aspects of newly identified issues such as innovation for entrepreneurship educators, globalization, entrepreneurship thinking and traits, aspects of a knowledge society, Islamic entrepreneurship, green entrepreneurship and internationalization strategies. Readers may also engage with the theme of the financial and accounting environment for entrepreneurship, including topics such as financial assessment and diagnosis, modelling, hedging, fraud, bankruptcy and governance. Perspectives relevant to the Association of Southeast Asian Nations (ASEAN) emerge in this work. The development of Islamic finance and networking effects based on ethnicity are explored, as well as the economic considerations that must be addressed by entrepreneurs in pursuit of any internationalization policies. Scholars and policy makers with an interest in entrepreneurship or small to medium-sized businesses or enterprises (SMEs) will find many valuable insights in this volume. China has enjoyed unprecedented high economic growth for three decades. This growth has however been unbalanced and has led to some serious consequences which Chinese policy makers are now trying to rectify. One of the consequences is the deterioration of regional disparity which is threatening the stability of the Chinese society and hence the sustainability of current high economic growth in the country. This edited volume on China's regional development and economic growth is hence timely and contains a collection of the latest research reports in this field. The authors represent a distinguished group of economists in Australia, China, Japan and Vietnam who are actively engaged in research of the Chinese economy. The topics addressed in the chapters cover important regional issues such as inequality, distribution of the creative class, FDI and industrial policies. Specifically, this volume aims to examine selected issues associated with China's regional development, economic growth and FDI, and China and its neighboring economies. The findings will contribute to current economic policy debates.Contents:Regional Economies and Growth: An Introduction (Yanrui Wu)Regional Development:New Evidence of Regional Inequality (Tsun Se Cheong)The Energy Tax and Regional Development (Zhengning Pu and Yasuhisa Hayashiyama)Regional Distribution of the Creative Class and Its Determinants (Jin Hong, Wentao Yu and Fengli Yang)Comparing Productivity Growth among the Regions (Yanrui Wu)Manufacturing Sector, FDI and Economic Growth:FDI and Economic Growth (Chunlai Chen)Manufacturing Sector FDI and Performance of Domestic Banks (Sizhong Sun and Siqiwen Li)Patterns of Industrial Dynamics in the Manufacturing Sector (Sizhong Sun)Agglomeration and Export Performance of Manufacturing Firms (Dahai Fu)China and Neighboring Economies:Individual Country Approaches to Agriculture in the ASEAN–China FTA (Ray Trewin, David Vanzetti, Nur Rakhman Setyoko, and Nguyen Ngoc Que)Environmental Regulation and Productivity Growth in APEC Economies (Bing Wang and Yanrui Wu)Inflation Transmission in China's Goods and Asset Markets (Huawei Liu and Juan Yang)Inconsistency in the Assessment of China's Domestic and Foreign Patents (Fei Yu)Readership: Researchers, professionals, undergraduate and graduate students interested in the study of China's economic growth, regional development, regional disparity, economic growth and FDI, China and its neighboring economies. Organizations such as ASEAN and EU were formed to promote economic growth, social progress and cultural development among their members. This book provides a comprehensive overview of the transformation which the newest members of ASEAN (Cambodia, Laos, Myanmar and Laos) and the newest members of EU (ten new Members from Baltic, Central and Eastern Balkan regions) have experienced during the last two decades (1990–2010). It throws light on the different social, economic and political causes which support these historical changes.Emerging markets such as the Mekong region and Central Europe where new forms of capitalism are flourishing have been captured in this book. Their policies in privatization, regionalization, industrial growth that support a new and deregulated form of capitalism have been mentioned in detail. The author stresses upon the capacity and strengths of these two hitherto “weak states” to face worldwide and regional challenges.Contents:Introduction — The Destruction of Historical States:History and Geography Matter — But for What Kind of Legacies?Defining a State in TransitionConclusion — Clusters of Modernized States in Southeast Asia and CEEIntroduction — Coherence of the Public Policies: Privatization, Regionalization, Industrial Relations:Transforming Economies: From Planned Economies to More Legal Rules or Towards Nomenklatura Capitalism?Transforming Polities: States, Regions and AdministrationManaging Firms by Flexibility: The Lack of Industrial RelationsConclusionIntroduction — EU and ASEAN Enlarged and Globalized Regions:The EU and ASEAN: Cohesion Policy and Export-Oriented AgreementsState, Sub-State Designs and Cross-Border CooperationEU and ASEAN Enlargement: Enlarged Globalization DynamicsConclusionGeneral Conclusions: Types of Capitalism in Central Europe and in Southeast AsiaReadership: Undergraduates and postgraduates in economics, political science and public policy; international agencies; government departments and think-tank bodies; policy makers; academic researchers. Andrews, Tim G. Chompusri, Nartnalin Baldwin, Bryan J. This book examines how and why corporate strategy, structure and culture is continuing to change markedly in South East Asia. Among the issues that have forced widespread changes in the region are the economic meltdown, the growth in electronic technology, regional market integration, changing levels of education, business process standardisation and transparency measures, the rise in'corporate governance'and political developments among the targeted countries. Specifically, this book discusses the changing nature of MNC business culture, strategy and practice in the ASEAN regional trading bloc. This comprises Thailand, Vietnam, Myanmar, Lao PDR, Malaysia, Singapore, Indonesia, Brunei and the Philippines. This book provides a rich and detailed account of how and why these organisations are evolving and restructuring in the post-economic crisis era. Multiple, in-depth case-studies are incorporated from the point of view of participants.